Check out our Letter K book list! We’ve included 10 great books, including fiction and nonfiction, to reinforce your child’s love of the Letter K! Monica loves lots of things, but painting most of all. She can paint just about anything, but, she realizes she has never painted a kiss. But what color is a kiss? This book introduces readers to multiple colors as Monica tries to determine the answer to her question. Her exploration of green, for example, includes crocodiles, broccoli, peas, chard, and artichokes, as well as her clever reasoning as to why a kiss can’t possibly be green. What Color Is a Kiss? is full of humor, color, and an adorable girl, making this a perfect book for our top 10 collection! 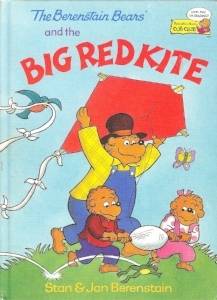 In Big Red Kite, readers join Brother and Sister Bear as they prepare for the big kite contest. There’s only one problem—they don’t have a kite! Papa Bear assures them he can make them the very best kite. Children will enjoy seeing how they make the kite, as well as the many different kites that compete in the kite contest. Will Papa Bear’s homemade kite hold up to the much fancier kites in the contest? This is a fun story with a great lesson about never giving up and always doing your best. A great choice for the letter K! With his classic style, Eric Carle’s Does a Kangaroo Have a Mother, Too? is an engaging pattern book full of repetitive text. Exploring the same question with many different creatures, including a kangaroo, swan, dolphin, lion, and eight more fun animals, readers will discover that, well, just about every creature has a mother. And there’s something else they all have in common, too: “Animal mothers love their babies just as yours loves you.” There’s even a section at the end that includes interesting tidbits about each of the featured animals. This is a wonderful book for your young readers, and with the repetitive text, they will soon be “reading” this story to you! 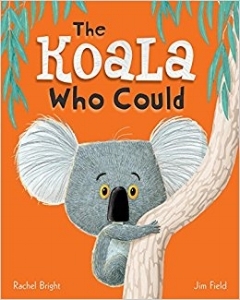 Readers will fall in love with the adorable Koala named Kevin, who is terribly afraid of trying anything new. He stays snug in his tree, day after day, despite the many attempts of his friends to encourage him to join in their fun. But one day, he is awoken by a “tap, tap, tap, tappity, tap, tap, tap” sound! As his friends cheer him on below, Kevin leaves his tree for a very new and different situation. This is an enjoyable story to read, perfect for the letter K and for those who need a little encouragement to try something new! In this adorable story, Bear and Mole build a kite for the perfect “kite day.” Although their plans don’t go quite as expected, the two friends experience the best surprise at the end! With simple text, dialogue, sound words, and lots and lots of verbs, this book is both enjoyable and packed with educational possibilities to extend your little one’s learning. With beautiful, colorful, and joyful illustrations, this book is sure to delight young readers! Check out Mercer Mayer’s classic “What do you do?” book. Each page asks the question before a turn of the page reveals a suggestion. Filled with all sorts of mischief-making animals, from a kangaroo, to an opossum, raccoon, moose, and more, readers will giggle at their antics and the little girl’s plans to remedy each situation. With a fun surprise ending, readers will enjoy this hilarious story! Kangaroos is a fantastic nonfiction text for young readers! With plenty of repetition of words and phrases to help young readers learn new words and concepts, along with engaging photographs, children will learn many cool facts about kangaroos. In addition, young readers will learn lots of subject-specific vocabulary words. With a table of contents, glossary, index, suggestions for further reading, internet site suggestions, and a great section for parents or teachers called “Critical Thinking Using the Common Core,” this nonfiction text has it all! It’s a great choice to learn more about kangaroos and the letter K! These National Geographic Readers are a great way to encourage a love of learning with young readers! They are informative, fun, and packed full of facts and photographs! Koalas is organized into eleven chapters that readers can peruse easily, thanks to the table of contents. Each chapter includes only a few sentences, making it a great beginning nonfiction reader. There’s even a picture glossary at the end with 4 content-related words, their definitions, and a picture to go with each one. Overall, this is a wonderful text for the letter K! What a cool book! 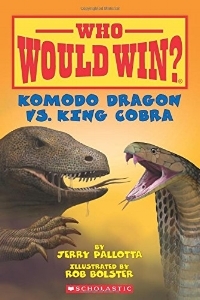 As can be seen, this nonfiction text features two tough animals and challenges readers to determine who would win if they faced off. Each two-page spread features one of the two animals on each side. By comparing scales, skulls, venom, forked tongues, favorite food, and much, much more, readers will learn plenty before they determine the winner of this hypothetical match-up! We especially love the checklist at the end, where readers can determine which animal has more dominant features, based on what they learned! We hope you’ve enjoyed our top 10 books for the Letter K! For more letter-themed ideas, including letter-themed crafts, snacks, and activities, check out our letter blog posts, like the Letter K post. And don’t forget to subscribe, so you can be the first to see our future letter book lists! !